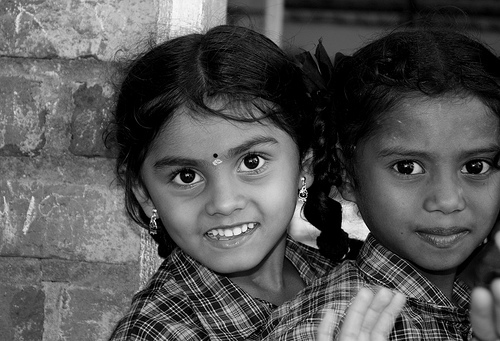 Dream School Foundation, and iQuest India together had co-ordinated a notebook distribution program for underprivileged government school kids in the HD Kote taluk on Tuesday, 29th July 2008, as they have been doing so for about 7-8 years now in various places in Karnataka. I happened to be a part of this exciting program this year. We started from Bangalore on Tuesday morning at 6:15 am, and reached Sargur in HD Kote taluk by 11am. HD Kote happens to be one of the most backward regions in Karnataka, and is mostly habituated by the tribal population around backwaters of Kabini reservoir. There are many government schools and few tribal schools in this place but lack sufficient infrastructure to cater the needs of the kids here for good education. 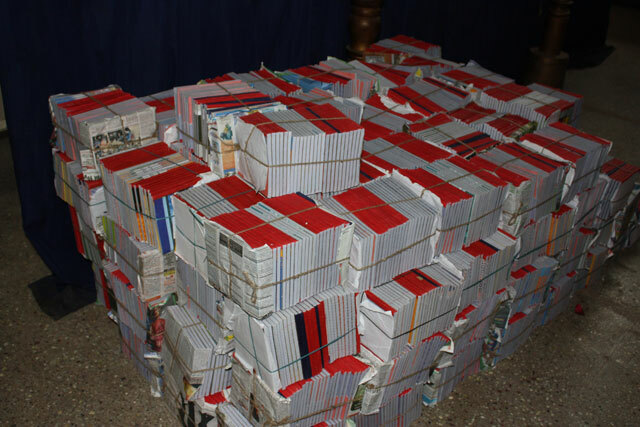 About 12500 notebooks were obtained for distribution from the fund raised by Infosys. The notebook distribution was organized in a marriage hall with the support of a local NGO, Swami Vivekananda Youth Movement. SVYM is a very inspiring organization started by a bunch of doctors from Mysore, about couple of decades back, for the development of health care and education in the tribal settlements of HD Kote, around Kabini backwaters. They've grown phenomenally in the last two decades, now having a good hospital, tribal school and lots of other activities. The program went well, and i've included few pics of those kids here. After the notebook distribution program, we had a look at the Vivekananada memorial hospital built by the local NGO, and had our lunch there. 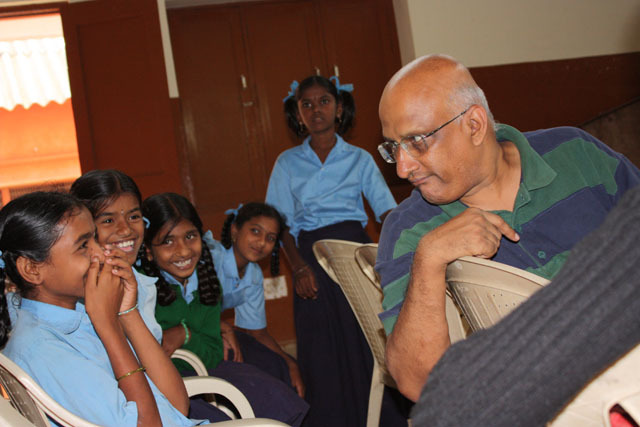 We visited a tribal school, Viveka Tribal Centre for learning (VTCL), in Hosahalli, about 30km from Sargur. The school is around the Kabini back waters, and we could see the full flowing Kabini dam on our way from Sargur to Hosahalli. Terming it as a beautiful school would be an understatement. 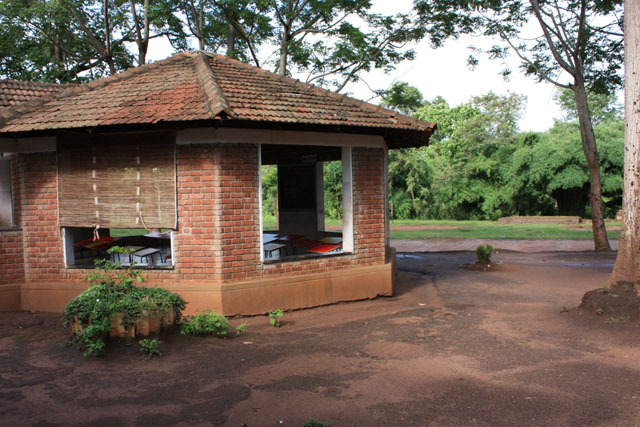 Sprawling in the forest region, this school has both residential and non-residential students from the tribal settlements around that place. 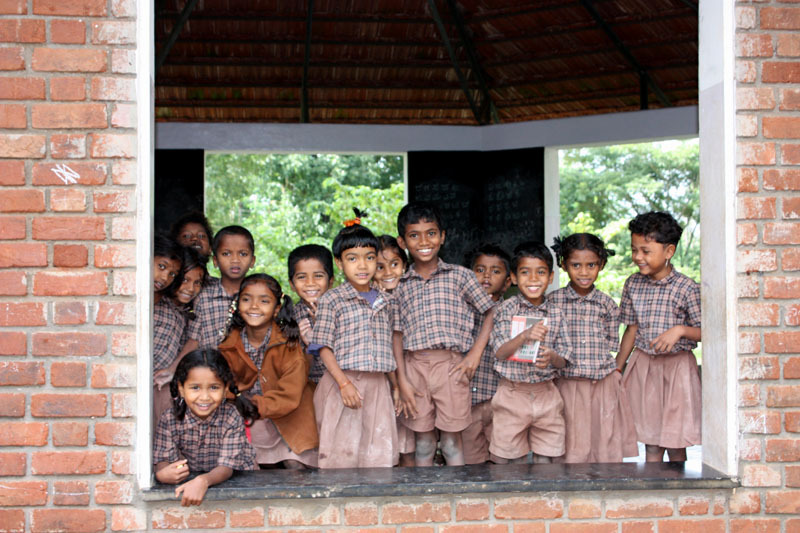 Children from tribal communities like Jenu Kurubas, Kaadu kurubas, Yeravas and Soligas attend this school which has good Computer, Physics, Biology, and Chemistry lab for classes from 1 to 10th. 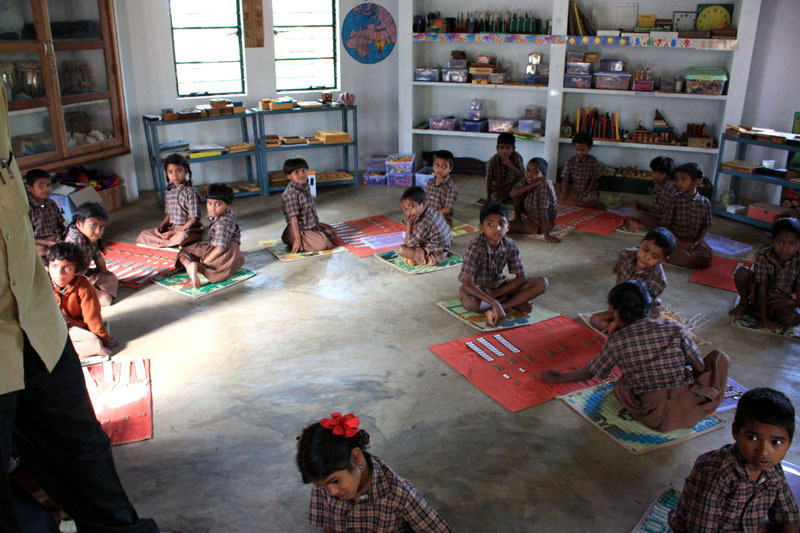 I was pleasantly surprised by the efforts of SVYM in providing such wonderful facilities in this part of the world. Just when we finished looking around the tribal school, the dark grey clouds opened up. The jungles look the best during monsoon. 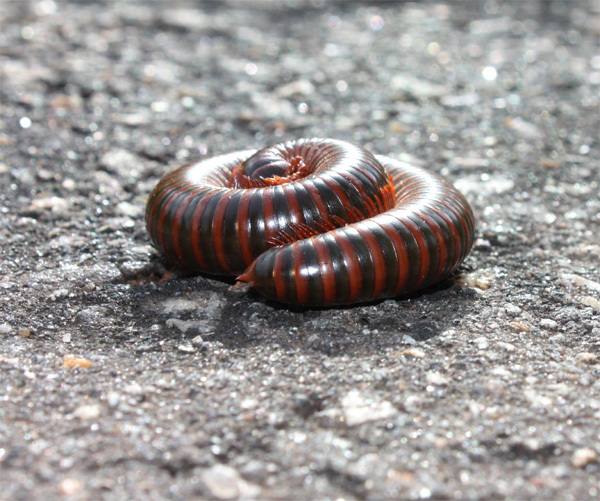 A couple of weird species caught my eye, a millipede may be, and another one i can't identify. 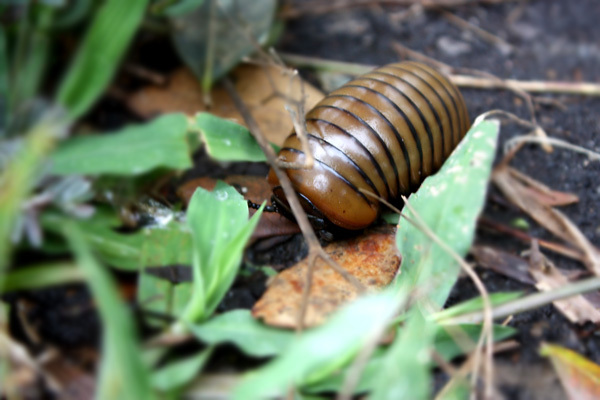 This unidentified bug was racing away from the spot across the road, i managed to get a quick snap of him, and tried to put him in the open for a better shot but he just rolled up and started rolling down the road! Below are few pics worth a look.